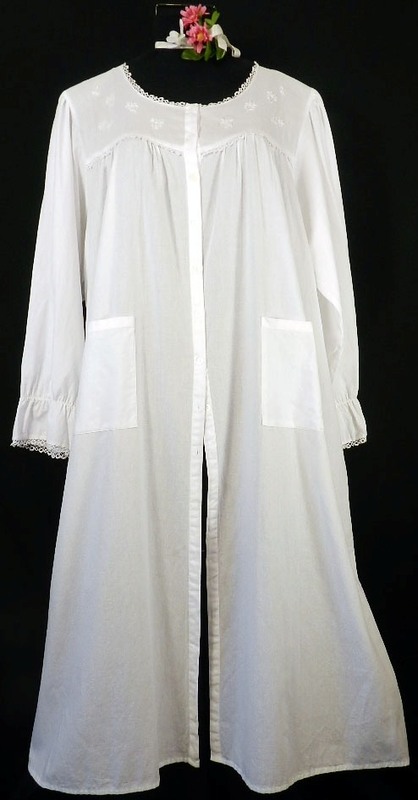 This beautifully embroidered button front robe will become one of your favorites! Patch pockets are stylish and convenient and non-binding elastic 3/4 length sleeves are perfect for comfort and style. Soft tatting lace trim on sleeves and neck. This is our shortest robe at 43” in length. Order in your blouse size.